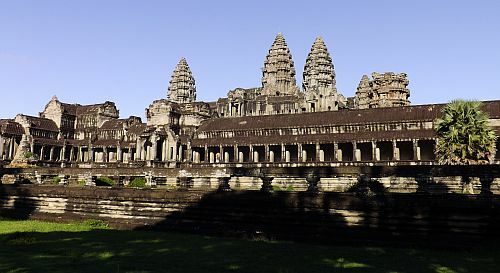 Until Burma reaches a point of real reform and starts getting the promised foreign investment coming in, Cambodia will hold the crown as the best travel value in Southeast Asia. What you get for your money is unbelievable sometimes, yet you don’t have to go way off the beaten path to find the bargains. In Cambodia you can travel in a manner that feels way above your budget. If you spend $30 on a room it’ll come with air-con, maid service, a great breakfast, TV, fridge, and maybe even a pool. If you spend $5 on a meal it’ll be in a pretty nice restaurant and probably include a beer or two. If you have to break down and take a tuk-tuk or taxi across town, that’ll set you back two or three dollars. So naturally, if you’re used to doing everything on a shoestring and want to keep that going, you can really make your budget last by hanging out here for a month. Without the vast distances you have to navigate in Indonesia or even Vietnam, you can get to most anywhere you need to go the same day. Here are some sample prices for Cambodia, from my mid-range family trip this past summer, from my notes, and from articles and blog posts I bookmarked before and after. Almost everything is priced in U.S. dollars here—even in the supermarkets—so you rarely use local currency. This country has gone from being critically underserved on lodging to being in the midst of a building boom, so there’s plenty to choose from in every price range. You have to negotiate on the spot to get a private room without paying the two-person rate: couples or friends traveling together get a better deal. A triple or family suite is generally just 1/3 more than a double at cheapie places, even less at nicer ones. Some hostels have free laundry, almost all have free Wi-Fi. This is where you really get the full benefit of local pricing. 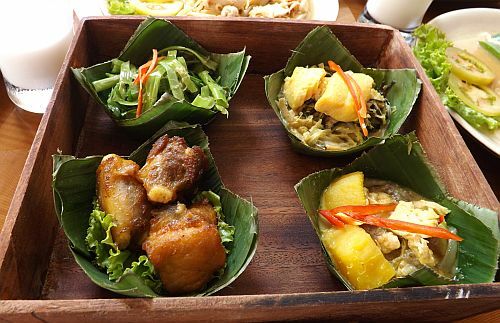 As long as you eat what’s grown in the region and don’t need a daily fix of imported items, this is a place where you can eat out three meals a day and spend less than $5 if you go where the locals go. Step up to a nicer restaurant with waiters and you can still get a meal for a few bucks. Often our family of three would completely chow down on multiple courses in Siem Reap and I’d have a few beers, my daughter would get a fruit shake. The bill would come and it would be $11 or $12. Same route by bus: $6 – $13 (working A/C and Wi-Fi). Motorcycle taxi – $6 – $9 around Ankor Wat for the day. Motorbike rental (not allowed in Siem Reap): $6 – $25 per day, weekly rates are cheaper. If you want to move to Cambodia to live for a while, you can’t buy property without partnering up with a local, but you can get a 99-year lease, which works for most people. International Living says you can rent a 2BR beach house in Sihanoukville for as little as $150 a month and get by there on $525 a month total in living expenses. The cost of travelling in Cambodia covers the whole spectrum, from almost free to outrageously expensive, depending on taste and comfort. Penny- pinchers can survive on as little as US$10 per day, while budget travelers with an eye on enjoyment can live it up on US$25 a day. Midrange travelers can turn on the style with US$75 to US$100 a day, staying in smart places, dining well and travelling in comfort. At the top end, flash US$200 a day or more to live a life of luxury. 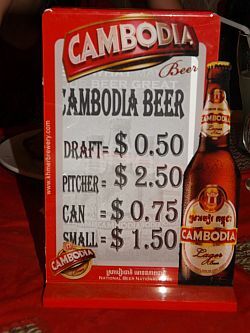 Cambodia sounds great for budget travelers! The food looks delicious and there are so many beautiful things to see. Was it very crowded with tourists? Cambodia is an excellent destination for budget (and non-budget) travelers. I would rank the food as good but nowhere near as good Thai food. Crowds appear mostly just in Siem Reap/Ankor Wat area as well as Phnom Penh during the busy Christmas holiday periods – but even then I doubt you would feel overwhelmed. I spent last Christmas/New Years there in 2011/2012 with my college aged daughter and the main effect of all the tourists was some full hotels and flights (something I almost never confronted on my non-holiday travels here). A couple of years ago I was in Ankor Wat with anther daughter and we had the place to ourselves most of the time – this past trip you could always see another “barang” (Cambodian for foreigner) but rarely did it reach a crowd. I would differ with Neetu on the cost – I would put mid-range travelers at USD$75-100 per couple – but I may have a different view of midrange. Awesome post. Just what I needed before hitting the roads of Cambodia! great place to seek from outside world… appreciable information shared so that no one can take use of your innocence. Thanks for this great guide. The price list is really helpful for our planned trip here next year. Cambodia can be depressing, but it can also be inspiring and beautiful. It’s definitely a great value too. I wish I could have stayed longer and spent some time at the beaches. 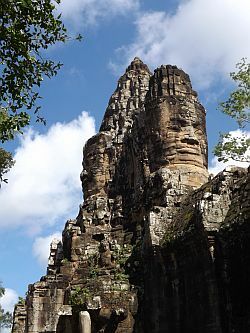 really a amazing place Cambodia, lots of places there to picnic to fun with family and nature places, thanks for share.